A good Samaritan managed to avert a catastrophe in Texas as he took action after seeing a wrong way driver traveling down the highway. 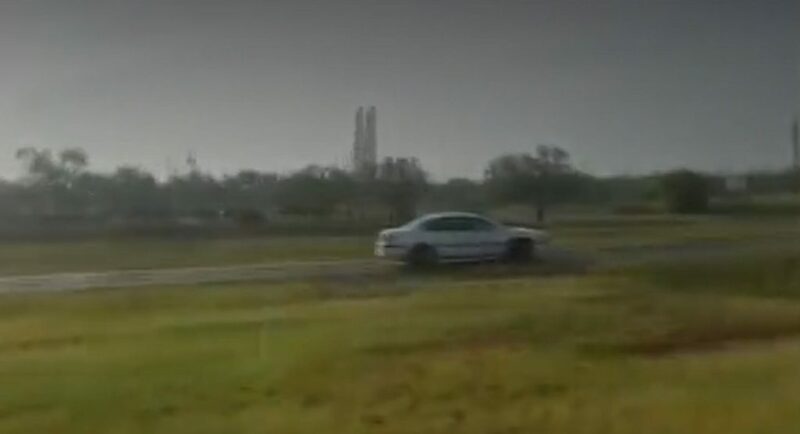 According to CBS affiliate KLBK, Thomas Prado was driving near Stamford when he noticed a Chevrolet Impala was driving into oncoming traffic on the other side of the highway. The car was being driven by a 94-year-old woman who was apparently oblivious to the amount of danger she was in. As you can see in the video, the woman had some extremely close calls and this promoted Prado to take action before anyone was killed. When the opportunity presented itself, Prado accelerated his van and managed to beat the Impala to a turn lane. He then attempted to get the woman’s attention, but she simply drove by. Undeterred, Prado got back onto the highway and quickly accelerated in an attempt to catch up to the Impala. Figuring drastic action was needed, Prado cut across the grass divider and pulled up alongside the Impala – putting his own life at risk. After rolling down his window and yelling at the woman to stop, Prado succeeded in getting the woman to pull over. He then assisted the woman out of Impala and made sure she was okay. While this story had a happy ending, many people aren’t as lucky. According to the United States Department of Transportation, wrong way drivers cause an average of 300 – 400 fatalities every year.